Gather your ingredients and preheat oven to 350°F. Grease a pie plate with cooking spray. 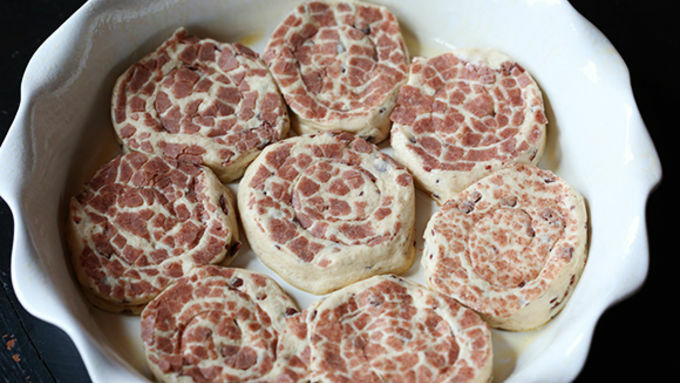 Lay out each of the 8 cinnamon rolls evenly in the bottom of the pan. Then use a spoon or your fingers to flatten the cinnamon rolls until they form an even crust, covering the bottom and slightly up the sides of the pie plate. Set aside. 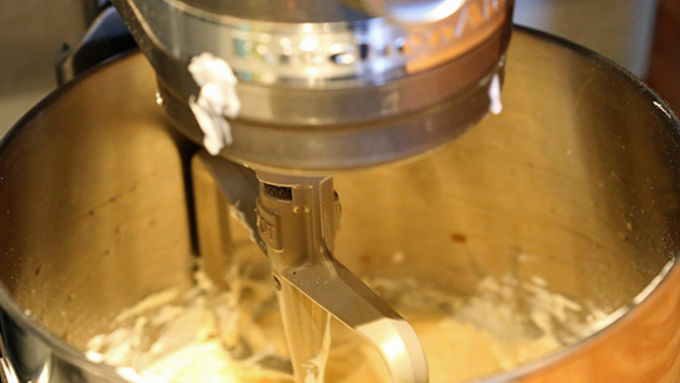 In an electric mixer, cream together the butter and 1/2 cup granulated sugar until combined. Add the egg to the mixture, and beat until combined. In a separate bowl, stir together the flour, baking soda, baking powder and salt. Add the dry ingredients to the creamed mixture alternately with the sour cream and vanilla. Mix until combined. Pour the coffee cake batter on top of the cinnamon roll crust, and smooth the top until it is even. In a separate bowl, whisk together the remaining sugars and cinnamon until evenly combined. 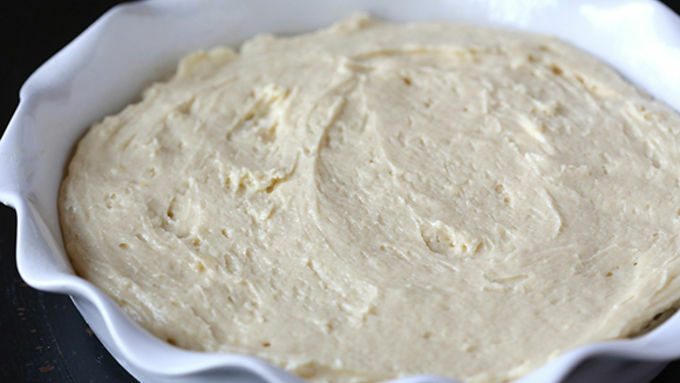 Sprinkle this mixture on top of the coffee cake batter (using as much or as little as you would like). Bake for 30-35 minutes, or until a toothpick inserted in the middle of the pie comes out clean. 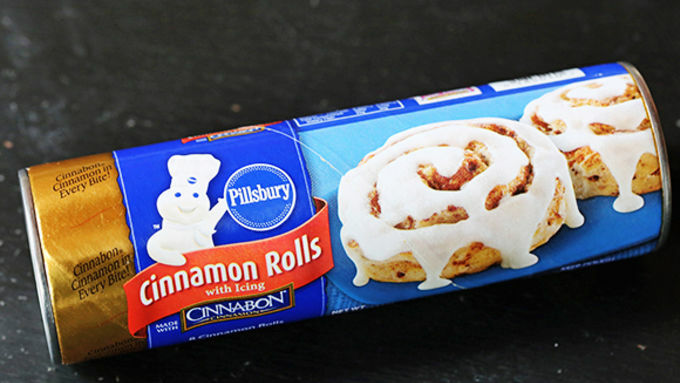 Take the frosting that came with the cinnamon rolls and pop it in the microwave for 5-10 seconds or until it is warm. Then drizzle it on top of the pie. Serve warm. Look out, world. Two of my all time favorite breakfast treats just got combined into one delicious pie. 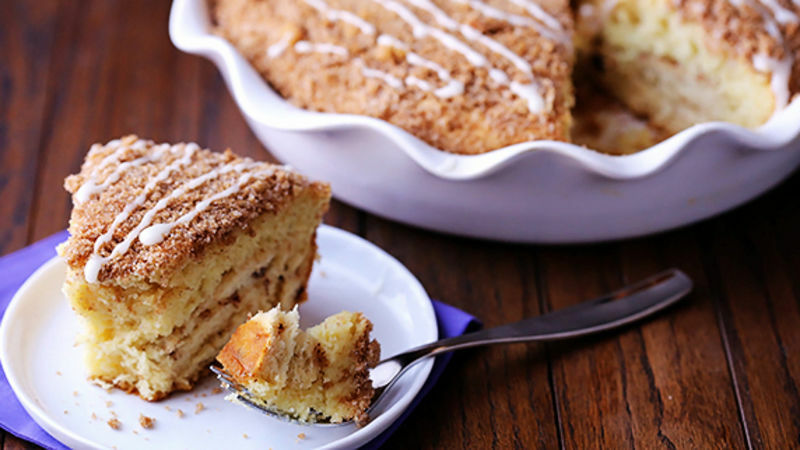 Introducing… Cinnamon Roll Coffee Cake Pie! And it couldn’t be easier! 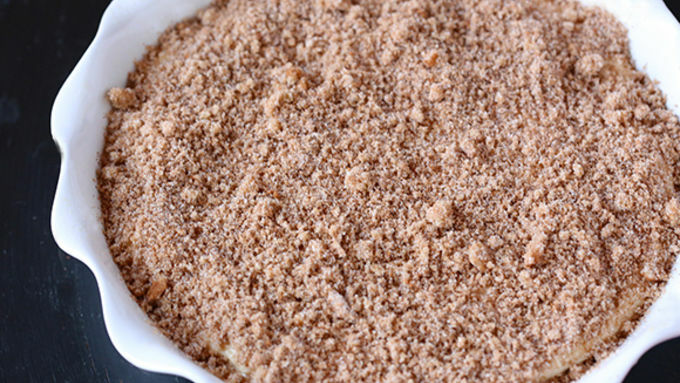 Delicious Pillsbury™ cinnamon rolls serve as the simple “crust” for this pie. And then one of my favorite coffee cake recipes that I learned in college is the yummy “filling”, letting even more cinnamon and sugary sweetness abound. And for the “icing on top”, you literally just melt the icing from the cinnamon rolls and drizzle it around. Easy? Yes. Popular with a crowd? BIG yes. My friends all loved it! I’m pretty sure yours will too.